Made a little present for my big sis for Christmas. 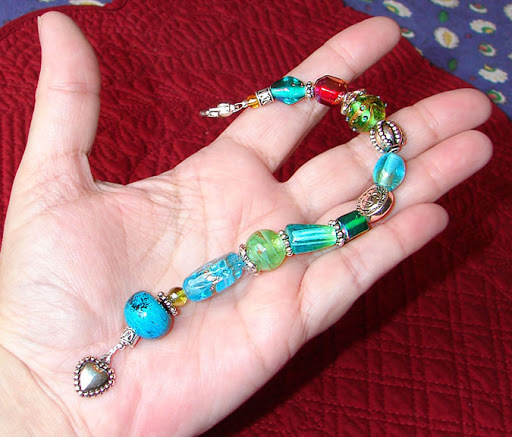 While she was here I asked her to select the beads and colors she liked so I could make her an item and she suggested that I make a scissors fob once she saw the one I’d made for myself. I was happy to oblige. There will also be a little something else in her package, but I haven’t finished that yet. 😉 I hope to get things done and mailed in time for the holiday! At this rate it may be a race to the finish. Side note: I STILL haven’t found that favorite pair of embroidery scissors that I lost a month ago! I may yet break down and get myself a pair of 4-inch Gingher scissors if they never reappear. Big sis came to visit this week and brought me some needlework goodies that I can’t wait to use! Not only did she hand me her spare punch needle tool, but she also gave me the cute all-in-one kit shown here containing cotton thread, printed fabric and easy beginner instructions. 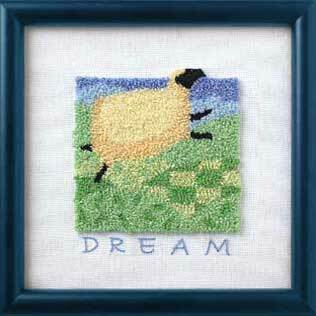 Now I can finally try some punch needle embroidery, which I’ve long wanted to learn how to do.